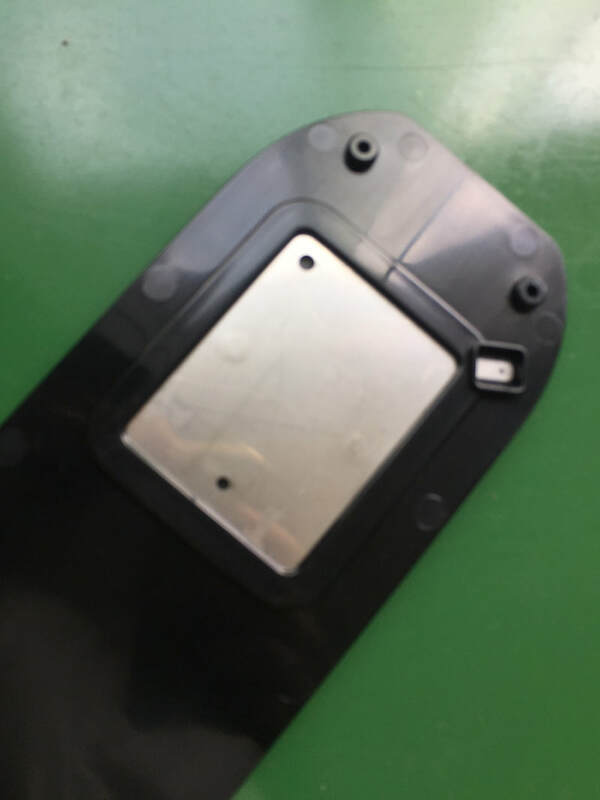 overmold,overmolding, 2K mold,precision mold,overmolding design guide,overmold design - TSY Molding Limited : injection molding supplier, China mold maker, unscrew mold, over mold, plastic product co-design from concept/prototype to your actual sales in global markets. It can add immeasurable value to product design by enhancing the end users experience in terms of comfort, ergonomics and ease of use. 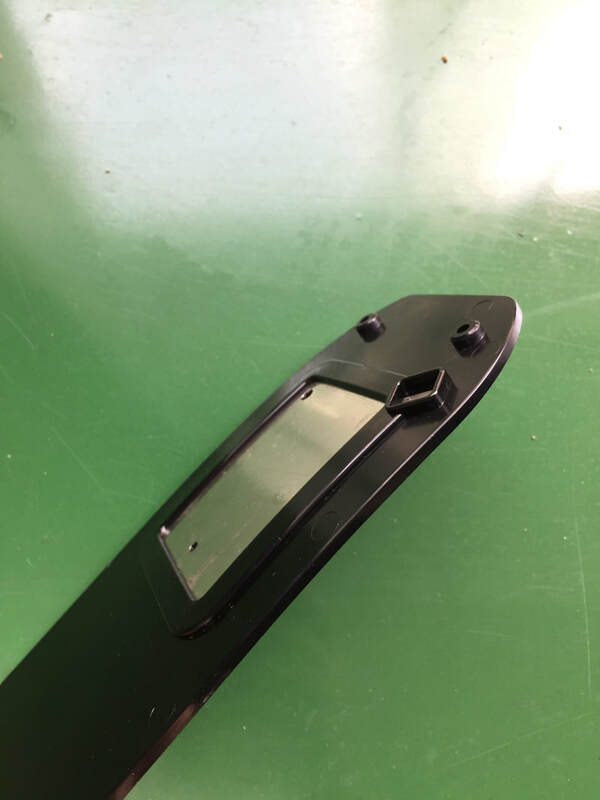 One material is injected into a mold in order to make the initial piece of the product, followed by a second injection of another material that is compatible with the initial injection molded piece. The two plastic resins then form a molecular bond and the multi-resin molded part is cooled and ejected. Double shot molding is an ideal process for complex, multi-material, and multi-colored plastic products; specifically in high volume. Reduced cost and waste associated with assembly defects. Overmolding,sometimes referred to insert molding. 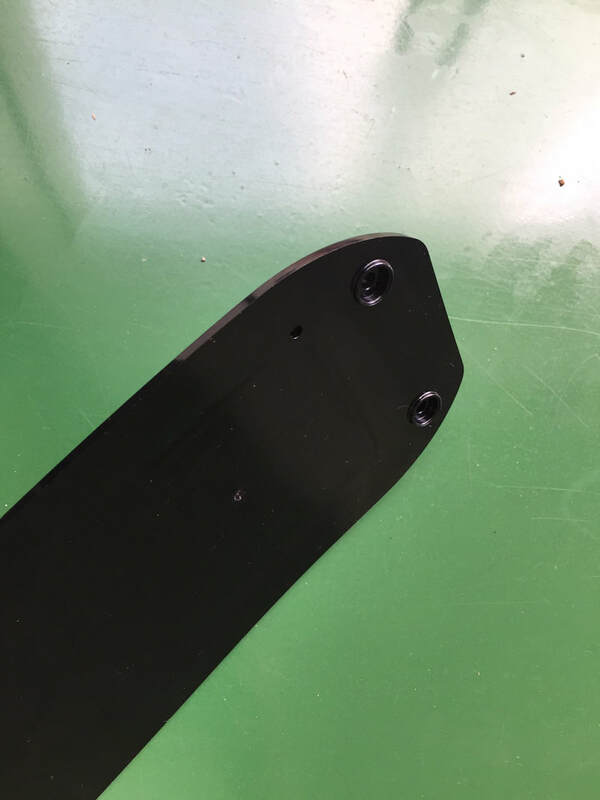 The substrate material (the first piece in what will be bonded and mechanically interlocked with other materials) is placed into an injection molding tool, at which point the overmold material is shot into or around the substrate. When the overmold materials solidify, the two materials become joined together as a single part. 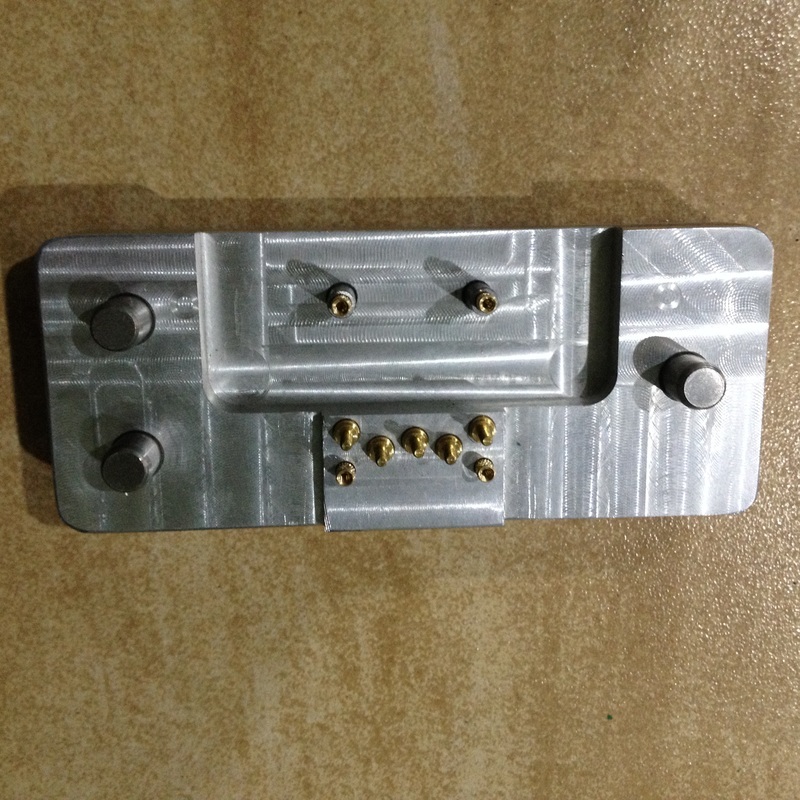 If you are overmolding a metal part with plastic, you can really use any type of plastic. 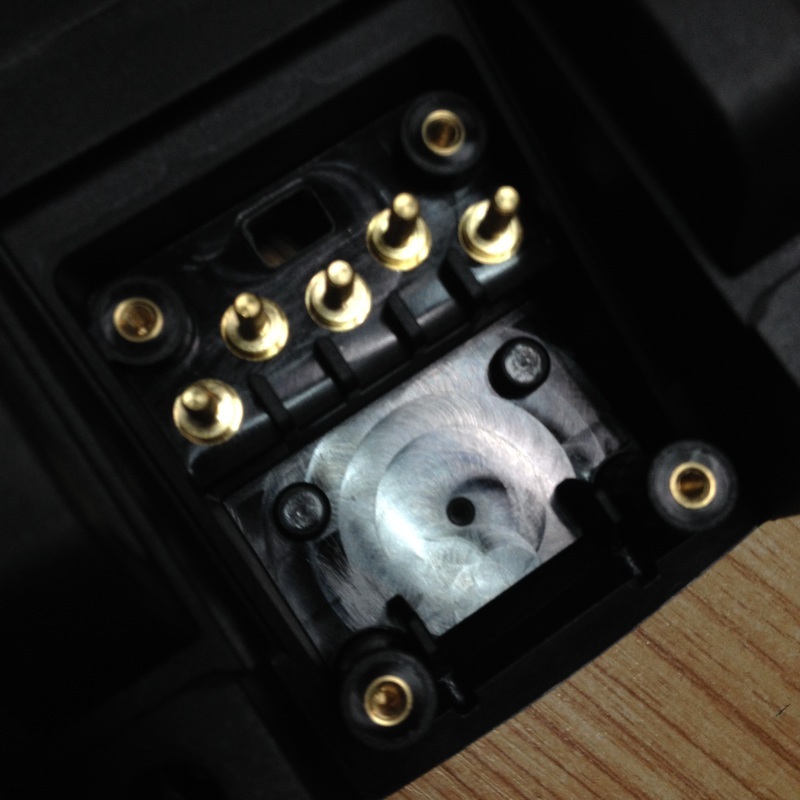 If you are overmolding a plastic part with another plastic, then there can be some compatibility issues. Enhanced design flexibility and multi-material components. Reduced secondary operations; assembly and labor costs. Improved part strength and structure. 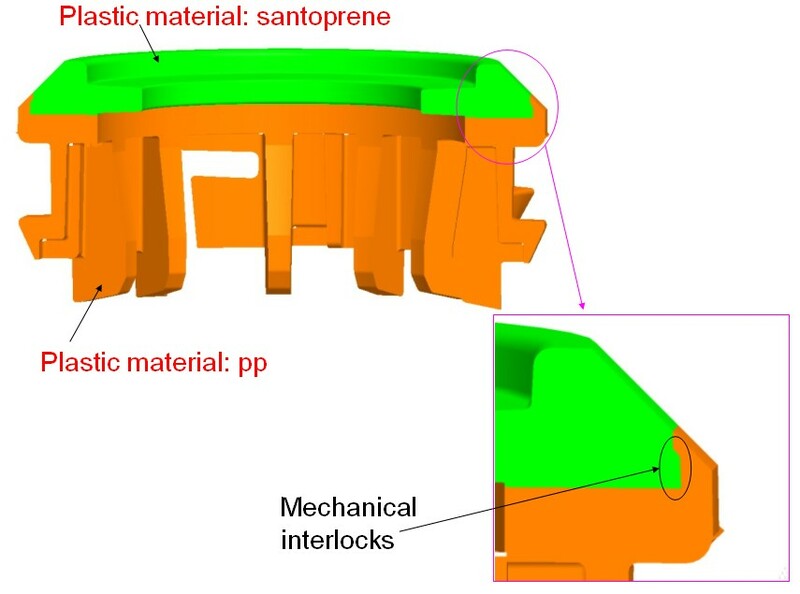 It is the case of 2 separate materials to form one cohesive components of which one material (say TPE/TPU) is molded "over" a "substrate" material (say rigid plastic or object). 1. 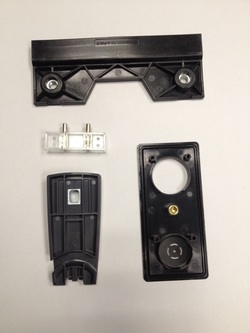 In part design, you need to know how many substrate and overmold to stick by mechanical part design interlocks. 2. In materials selection, both materials attain a high level of molecular adhesion. We can provide,free of charge, consultant technical service for overmolding products for the next project or any other molding product design. Double Injection, sometimes known as 2 material 2 shot molding or 2K molding, is an innovative manufacturing process used to produce complicated molded parts from two different materials. Through a highly specialized and automated process we carefully control the injection of multiple materials, including two different kinds of resin, into a single, multi-chambered mold. Double Injection in performed on one machine that is programmed to perform two injections in one cycle. In the first cycle, a nozzle injects plastic into a mold. The mold is then automatically rotated and a different type of plastic is injected into the mold from a second nozzle. Double Injection Molding optimizes co-polymerization of hard and soft materials to create powerful molecular bond. The result is a single part with production and feature advantages. It can be used for a variety of product designs across all industries. It also allows for molding using clear plastics, colored graphics and stylish finishes which improves your product functionality and marketplace value.